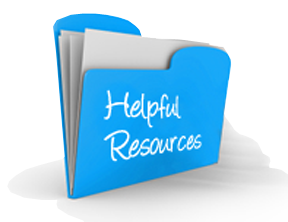 A highly interactive & "edutaining"
social media & responsible posting! Don’t Post It & Regret It! Social Media is a very powerful tool, but with great power comes great responsibilities. The title of this presentation is “Social Media Land Mines” because often students are posting without knowing certain consequences until they have “already stepped on it” and it’s too late. This presentation discusses and creates awareness on a variety of these serious issues surrounding social media and promotes responsible posting. Technology addiction and why it’s important to set limits. Social media anxiety – what it is and to remember it’s not always about the “likes”. Cyber bullying & hateful posting – why it’s so easy, why it’s so serious, and what to do if you see it. Safety issues – posting too much personal information, online predators (who they are, who they target, and how they work), online challenges. Don’t get lectured. Get “Edutained!” This highly interactive presentation is designed to engage and educate your students. 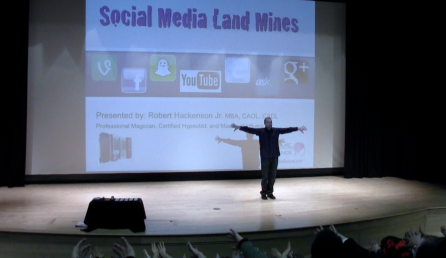 Professional speaker and “edutainer” Robert Hackenson Jr. has a unique ability to connect with students and keep them engaged while delivering the educational messages in a memorable fashion. Robert takes your students through a roller coaster of emotions as he combines laughter, serious stories, magic, and illusions in a way that helps to reinforce the important lessons. Robert has several versions of this presentation and has delivered his cyber safety presentation to elementary schools, middle schools, high schools, parents and professionals, and colleges in 46 states (and counting) and up into Canada. Each presentation is tailored to the different ages to make sure that the messages (and the magic) are appropriate.